There are now quite a few local breweries in town. 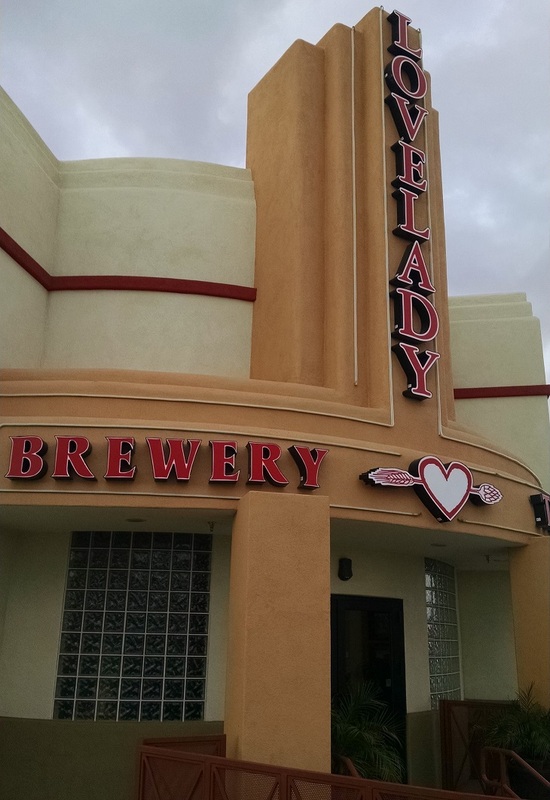 We made it down to Lovelady Brewing Company on Water St. in Henderson. 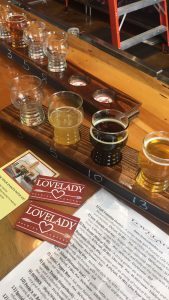 With a great taproom that you can bring your own food into and a fantastic selection of fresh beers on tap, we decided to get some of their 4oz flights. At $2.00 each, you can order as many or as few as you like. Not counting the Sin City Brews, they had 11 taps, we got 8 of them. From a Red to an DIPA, Dopplebock to Stout, they will have a taste for everyone. As all the beers were tasty and would easily order any of them again, my favorite is the Tres Amour, a perfectly colored golden Belgian Tripel. If you haven’t been here yet, make sure to visit. If you have, let me know what beers you had and how you liked them.